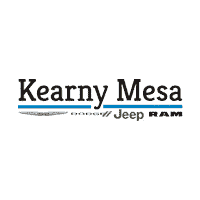 Kearny Mesa Chrysler Dodge Jeep RAM invites you to search our outstanding inventory of new Chrysler Jeep Dodge Ram For Sale in San Diego,CA. Our team of specialists are ready and waiting to help you find one of the best deals on a new Jeep Cherokee, Dodge Charger, or RAM 1500. Or, if you would like browse through our used car inventory as well, don’t forget to check out all of our certified pre-owned car options! Don’t forget to ask about our great financing options, lease deals, and exclusive dealer incentives. Our professionally-trained Service Department technicians are fully qualified for all your vehicle servicing needs. Search our stock online, drop in for a test drive, or call 858-215-5824858-215-6193 today.